Following a 30-year Broadway absence, Tyson gives an awe-inspiring performance. She sings, she dances, she does everything but cartwheels. 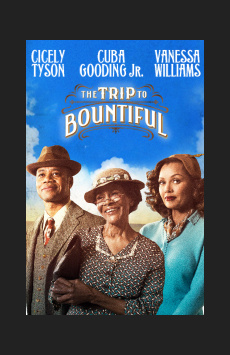 At the matinee I attended, Ms. Tyson’s interpretation of that hymn was so infectious that much of the audience was soon singing and clapping along. Ms. Tyson turned full-face to us, raised her arms and swayed in encouragement, like an impassioned choir master.